The Airway™ Linear Motion Guide System is engineered for a simple replacement of conventional rolling element bearing systems with a frictionless motion guide system. The key is New Way’s Porous Media Technology™ that utilizes a porous carbon material inherent with millions of sub-micron holes. Frictionless motion is created by a thin yet robust air film evenly distributed across the entire bearing surface. Our new designed-to-order airway linear motion guide systems enable customers to remove the existing conventional truck and rail bearing systems, replace them with the Airway linear guide systems, connect an air supply, and immediately experience the benefits of frictionless motion. What Are the Benefits of the Airway Linear Motion Guide System? Frictionless air bearing technology in New Way’s linear motion technology is the answer to inherent problems of mechanical bearing systems. Bearing wear, maintenance issues, and misalignment are but a few of the problems with mechanical bearing systems due to friction. New Way’s frictionless technology provides the air cushion that carries the load without contact to the moving parts; thus, the proper air gap that is key to providing the precision and accuracy needed for the process is maintained. The inherent issues with mechanical bearing systems are solved with the frictionless motion technology. Manufacturing and other industrial processes that use linear motion for moving equipment are ideal candidates for upgrade to New Way’s Airway Linear Motion Guide System. 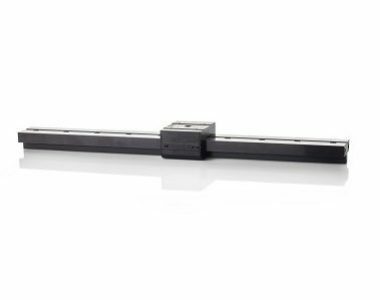 In additional to the frictionless motion benefits of no wear, no lubricant requirements, and no maintenance, our linear guide system offers the precision and alignment that mechanical bearing systems cannot achieve. If your processes require this precision, then New Way’s linear guide system is the answer. 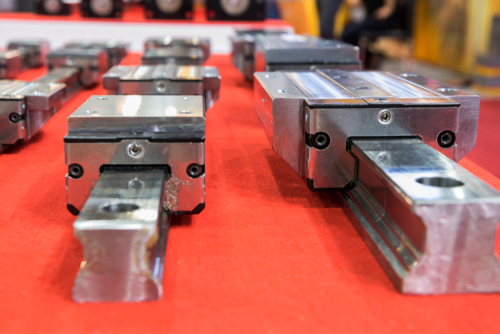 Learn more about what we have to offer in the way of frictionless linear guide systems and how you can improve your manufacturing processes by using them. New Way’s Airway Linear Motion Guide System offers higher precision by utilizing porous graphite technology to provide a frictionless interface between the bearing guide surfaces with an even cushion of air. If you would like additional information on New Way’s Airway Linear Motion Guide System, do not hesitate to contact us with your questions and we will respond to your request promptly.